Wrist arthroscopy is also known as key-hole surgery and it involves inserting a small 3mm diameter telescope into the wrist joint. Many people are familiar with arthroscopy of the larger joints such as the knee and shoulder, but the same is available for the wrist joint. Wrist arthroscopy is a relatively minor operation which is performed as a day case using either general or regional anaesthesia. Wrist arthroscopy enables the surgeon to visually assess the intra-articular structures, including the strong wrist ligament, the triangular fibrocartilage complex (TFCC), the synovium (joint lining) and the joint surfaces. 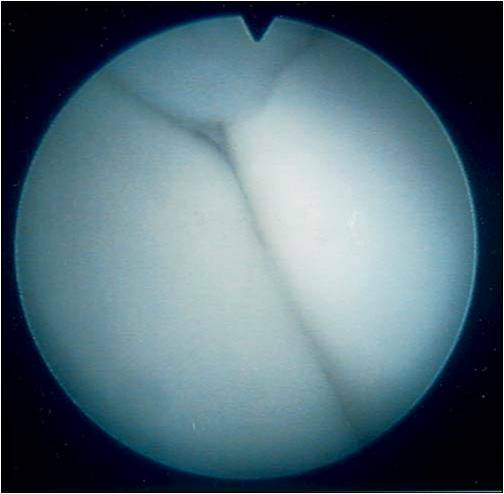 There are a number of conditions that can also be treatment at the same time using fine instruments which are also inserted through the skin, in a similar manner to that performed in the knee. The operation is generally well tolerated with few post operative problems. 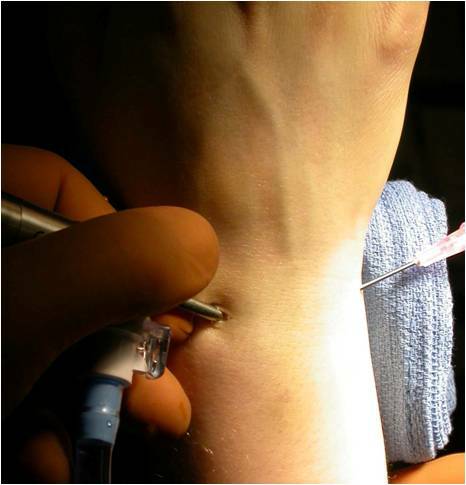 It is usually not very painful and it leaves 2 or 3 small scars at the back of the wrist where a small diameter arthroscope was inserted into the wrist joint. Postoperative a dressing will be applied to the wrist for up to two weeks, after the wrist can be freely mobilised. Postoperative complications are recognised but fortunately uncommon. These include infection, tendon/nerve injury or wrist stiffness.